← Come on out the dirt is fine. The Eulalona Kiosk is taking shape. 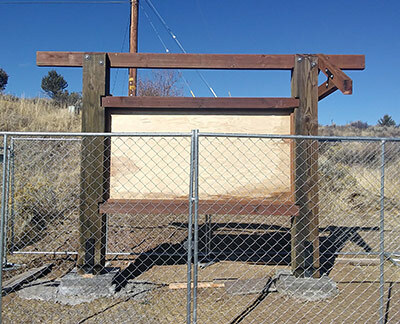 With the help of the City of Klamath Falls and KTA volunteers, the Eulalona Trailhead kiosk is taking shape. There will be a few more work days involved to complete the construction, but things are going well so far. The finished kiosk will appear almost identical to the kiosk presently at the Spence Trailhead off of Hwy 140. Another similar kiosk will be built at the Shoalwater Bay Trailhead as time and weather permits.